Another shoot I did for my friends at Find,Eat,Drink. 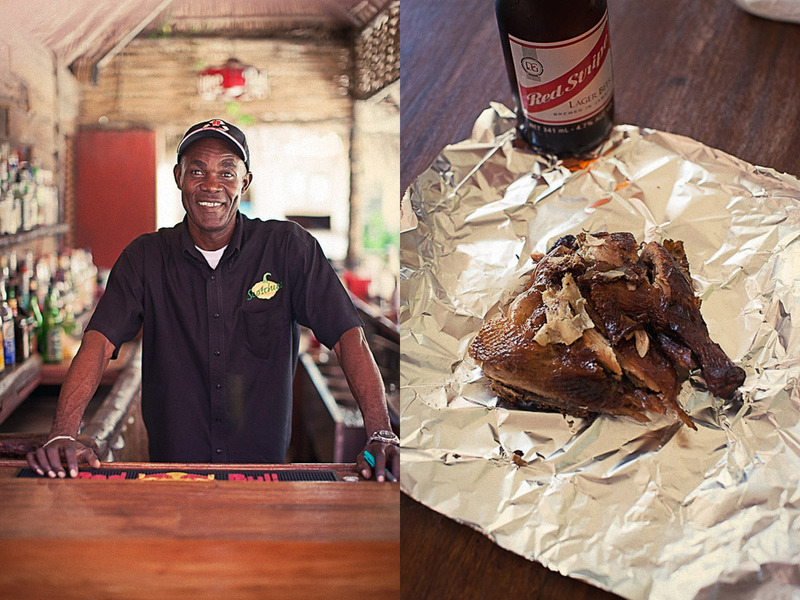 Scotchies and the Pork Pit couldn't be more different places(in Montego Bay at least) but serve a very similar jerk chicken. Just a few hours away from the birthplace of Jerk, Boston Jamaica, these two places have come as close to perfecting it as anyone on this side of the island. Scotchies is a nicer looking restaurant but the pork pit is a great place to see how they actually make the jerk from start to finish. Imagine if you had a crazy uncle who grilled with a special wood out back in a rusted trailer and you get the idea. Both are cheap and must eats if in Montego Bay(god help you). Order a Red Stripe or a Ting to wash it down.